Toilet training regression, however, is defined as loss of these daytime skills long after the process is complete. It is understandably frustrating and concerning for parents when their child, several months diaper-free, suddenly refuses to use the toilet, begins having frequent accidents during the day, or develops some other unusual elimination behaviors. If these daytime skills were truly mastered before the onset of regression, the first step is to rule out medical causes by meeting with your pediatrician. If the doctor determines there is no physical cause for the regression, emotionally stressful changes in your child’s life should be considered. In such situations, it is important to remember that rather than lashing out physically with violence or tantrums, your child has found a relatively healthy way to cope with this stress. Using the following approach, however, you can help your child find even better ways to manage. Tell them you’ve noticed the change. Do this with as much ambivalence in your voice as possible. 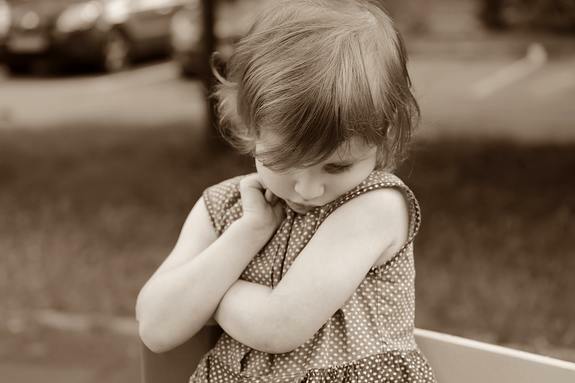 Shame and guilt will likely be your child’s first reaction to learning their behavior has not gone unnoticed. It is therefore important you remove any hint of judgement from your tone and choice of words. Talk to them. First, explain you aren’t mad at them, and it isn’t their fault. Next, ask if they know why this is happening. Depending on the verbal skills of your child, you may not be in the habit of asking their opinion yet. Even if they don’t have the words to explain what they are feeling, hearing you are interested in what they think is empowering. If they do offer any type of meaningful response, listen carefully to what they say, thank them for telling you, and sympathize with them as much as possible. Tell them you are proud of the good work they have done up to this point and that you know they will do better next time. Brainstorm creative solutions alone as parents and also with your child. Any practical steps to solving the problem are worth trying. Removing fear by making the toileting fun with songs or games. Spend special time together with your child separately from the new baby. Explore the childcare facility bathroom with your child and separately discuss the issues you’re having with their childcare or caregivers. Surround the potty with familiar objects or toys. Positively reinforce successes with sticker charts or other reward systems. If your child contributes any ideas, be certain to try them as well. Consider taking a break. If your creative solutions don’t seem to be working (or, worse: creating stress and anxiety surrounding toileting), consider taking a break and returning to pullups for a few weeks. Sometimes taking a backseat for a bit allows your child to recognize they are responsible for learning this important skill. Encouraging this independence can be liberating for your child and lead to lasting success. Tim Porter, M.D. is a board-certified pediatrician at Weissbluth Pediatrics. He completed his pediatric medical training at Ann & Robert H. Lurie Children’s Hospital of Chicago and is a Health Systems Clinician at Northwestern University’s Feinberg School of Medicine.